China Evergrande Group agreed to buy a controlling stake in an automotive battery maker, increasing the property development company’s strategic bet on the electric vehicle market. 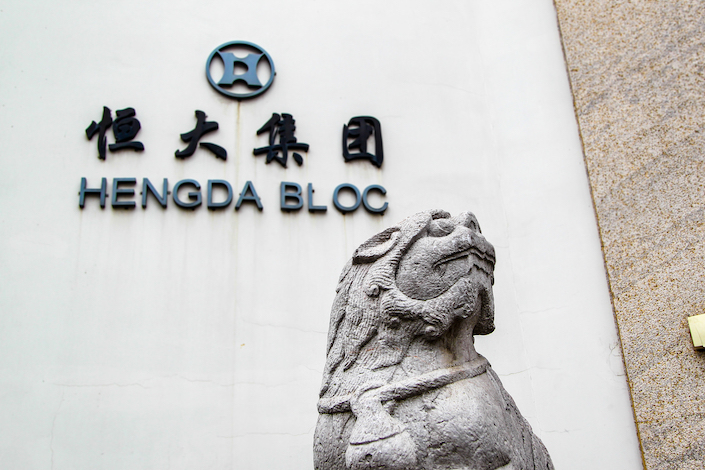 Hong Kong-listed Evergrande Health Industry Group Ltd., a wholly owned subsidiary of Evergrande, will acquire a 58.07% stake in Shanghai CENAT New Energy for 1.06 billion yuan ($155.8 million), China’s third-largest property developer said Thursday. Shanghai CENAT produces lithium-ion batteries for vehicles. The deal came a week after Evergrande Health agreed to pay $930 million for 51% of National Electric Vehicle Sweden AB (NEVS), a Swedish electric carmaker. 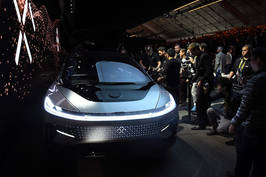 The NEVS investment marked a fresh Evergrande effort to tap into the booming electric-car sector after its partnership fell through with U.S.-based startup Faraday Future, backed by debt-ridden businessman Jia Yueting. Evergrande Health has invested $800 million in Faraday Future and holds 32% of the company. Evergrande Health said Thursday that it plans to set up several mega-factories in the next 10 years, each with an annual battery production capacity of 60 gigawatt hours, equivalent to global lithium battery shipments in 2017. According to China EV100, an industry research organization, the average annual production capacity of China's major electric vehicle battery makers is about 8 gigawatt hours. Shanghai CENAT had an annual capacity of only 0.75 gigawatt hours as of November 2018. The company said it expects its battery production capacity to reach 6 gigawatt hours by the end of 2019 and 10 gigawatt hours by 2020. Established in 2010, Shanghai CENAT was jointly funded by state-backed China Automotive Technology & Research Center (CATARC), Japan’s lithium battery company ENAX Co. Ltd. and engine and powertrain manufacturer IAT Automotive Technology Co. Ltd. In 2017, ENAX sold its stake in Shanghai CENAT to Shenzhen Clou Electronics Co. Ltd., which later became the largest shareholder. Evergrande Health is planning to acquire the shares held by Clou Electronics. Shanghai CENAT has yet to become profitable. According to an Evergrande Health filing, Shanghai CENAT reported losses of 50.9 million yuan in 2017 and 117 million yuan in 2018. The company’s major clients include SAIC-GM-Wuling Automobile Co. Ltd., Jiangling Group New Energy Automobile Co. Ltd., Qiantu Motor and Zotye Auto. The acquisition is still subject to change. Under the agreement, Evergrande Health could terminate the deal if Shanghai CENAT can’t fulfill certain conditions by April 30. On Wednesday, Evergrande said it sold $3 billion of offshore bonds to refinance debt. 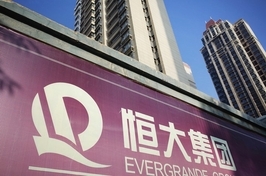 Total debt of Evergrande stood at 671.1 billion yuan as of June 2018, making it one of the most indebted developers in China. Rating firm S&P Global Ratings warned Tuesday that although recent electric car investment won’t put much pressure on Evergrande’s liquidity, the company may face operational risks in the highly competitive electric vehicle sector.